How Long Should a Background Check Really Take? Once you get to the point in the interview process where you execute the background check, you want answers quickly. The applicant has passed a lot of hurdles on the way to the new job, and may be juggling a decision between several offers. You as the employer are eager to get going on training and orientation—you have an empty position that should be turned into a productive job. When is that background check going to be done? Well, that answer can be difficult to answer and depends on multiple factors. There are variables in the screening process that can affect the time it takes for the background report to be ready. In setting expectations for the applicant and the internal customer who needs the job filled, you can use these factors to build in the time you need to make a firm hiring decision in an organized way. A position that will have substantial authority will usually require a background screening protocol that includes many more elements than for a routine, limited position. The final answer to this question depends on the risk analysis you make for the position, with each substantial risk implying a specific part of the screening process. Where the research objective is complex, even reporting based on standard procedures may require secondary or repeat inquiries to get the right data. Where the background screen must include employment, education, or licensing verifications, the timing is dependent on the routines of third parties not under the control of the screening agency. For instance, the university cited in a resume may not have an efficient way to respond to inquiries for education verifications, or there’s a scheduled break you are unaware of. Previous employers are sometimes hard to reach, and may require several inquiries to get the information provided verified. If a criminal background check is used, a more thorough screening will acquire data from numerous jurisdictions, each with different ways of responding to inquiries. The applicant’s history has an impact on this to the extent he or she has moved through multiple jurisdictions. In fact, the number of times your job candidate has moved can change the time to completion for several kinds of background checks. In general, the more customized and the more personalized the background screening becomes, the longer it will take. HR managers have to estimate time to completion by taking all of these factors into account. They also need to make sure their applicants and internal customers have a reasonable estimate of the time needed. 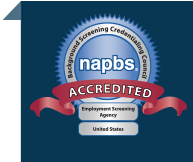 The good news is, today’s leading background screening companies are using predictive analytics to estimate the time to completion, and turnaround times are becoming easier to estimate as a result. Obvious variables like the complexity of the job responsibilities and the degree of customization of the screening components will always have impacts on the length of time before a report is final, but predictive analytics can take this into account. In the end, always remember it’s better to be thorough and accurate than fast and wrong.